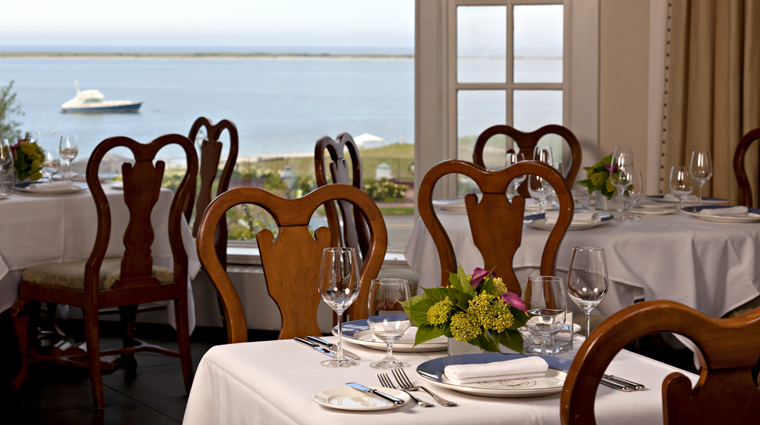 For a memorable fine dining experience on Cape Cod, locals and visitors head to STARS at the Chatham Bars Inn Resort and Spa, where signature New England cuisine meets traditional steakhouse fare. With stately columns, custom chandeliers and panoramic windows overlooking the Atlantic Ocean, many diners come as much for the ambiance as the food, lending a cheery atmosphere to the cozy and cream-colored dining room. • With a staff equipped with decades of fine dining experience (much of it gathered at STARS itself) the restaurant is known for its impeccable service and attention to detail. • The best table at Four-Star STARS is undoubtedly one along the floor-to-ceiling windows. If you’re dining during daylight hours, you’ll have a great view of the ocean. At night, the resort sparkles under carefully positioned white lights. 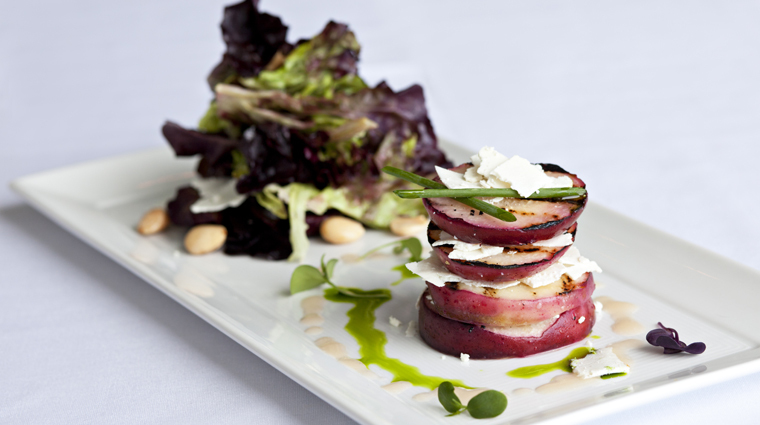 • The hotel purchased its own farm in 2012, with the culinary team overseeing plans for its bounty. You can see the goods first hand on your plate all year round. • Regardless of what time of year you visit, you’ll need a reservation to dine at STARS for dinner. You can book your spot online via OpenTable, or call the hotel directly to set up your dinner plans. • The Four-Star Cape Cod restaurant serves breakfast and dinner, and requests that guests dress appropriately at both seatings. The dress code means no beachwear or flip-flops, but nice jeans and sandals are fine. Jackets are recommended for gentlemen but not required. • The restaurant doesn’t have its own bar. If you’re looking to have a drink before your dinner at STARS, you’ll need to choose from one of the other onsite bars, whether it’s inside The Sacred Cod Tavern or on the veranda on a warm summer evening. • Leave room for a sweet ending to your meal, because the dessert menu is a delight. 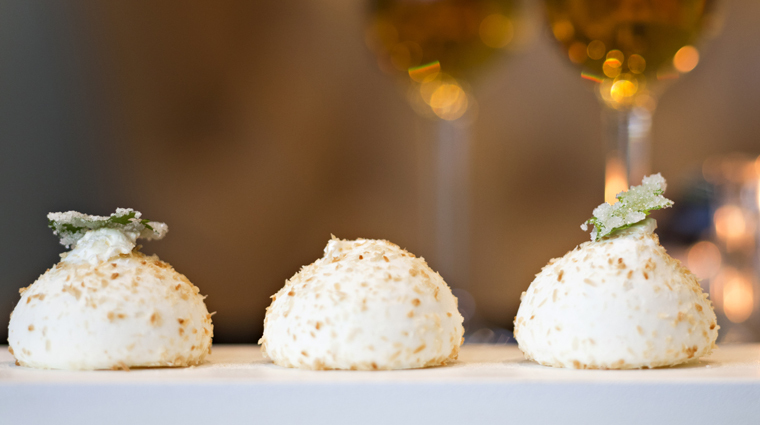 From simple pleasures like house-made Cape Cod ice cream to more complicated concoctions such as kaffir lime panna cotta with coconut-lime dacquoise, mango-jalapeño salsa and crisp tortillas, STARS' pastry chefs know how to put the exclamation point on a memorable dinner. 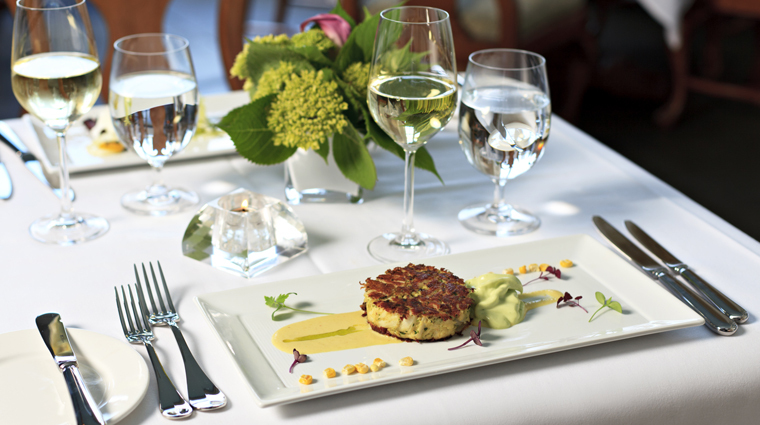 • Starter courses include everything from beef tartar to oyster stew. A number of side dish options range from onion rings and Parmesan steak fries to sautéed vegetables. • If you’re having meat, you can choose a cut from the cart that’s wheeled to your table and carved according to your exact preferences, or you can opt for one of the prepared entrée options, including châteaubriand or lamb chops. If you choose your own piece of meat from the cart, the price will be based on ounce. The cost per ounce is $2.40 for ribeye, $3.20 for New York strip and $4.70 for beef tenderloin. 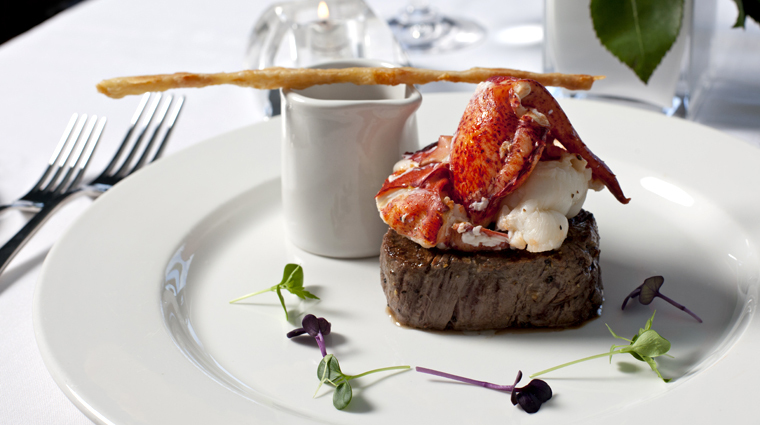 • The seafood offerings include oysters on the half shell, roasted or steamed lobster, scallops and a fish of the day.